Looking for a USED TC-46M/1000? ycm(yeong chin machinery industries co., ltd.), founded in 1954, specializes in machine tools manufacturing. throughout the excellent teamwork and leadership, ycm has been growing steadily, and been recognized the most leading cnc metal cutting machine tools supplier from taiwan. ycm is well known for wide-range products of all types of machining centers - vertical, horizontal, complex and high-speed precision mold & die machining center; plus the cnc lathes and turning centers. 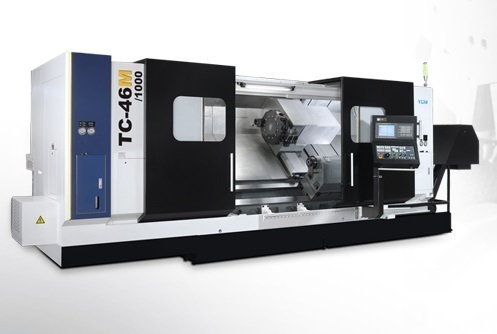 Looking to Purchase a New YCM TC-46M/1000? Qingdao HRK Industrial Equipment Co., Ltd.